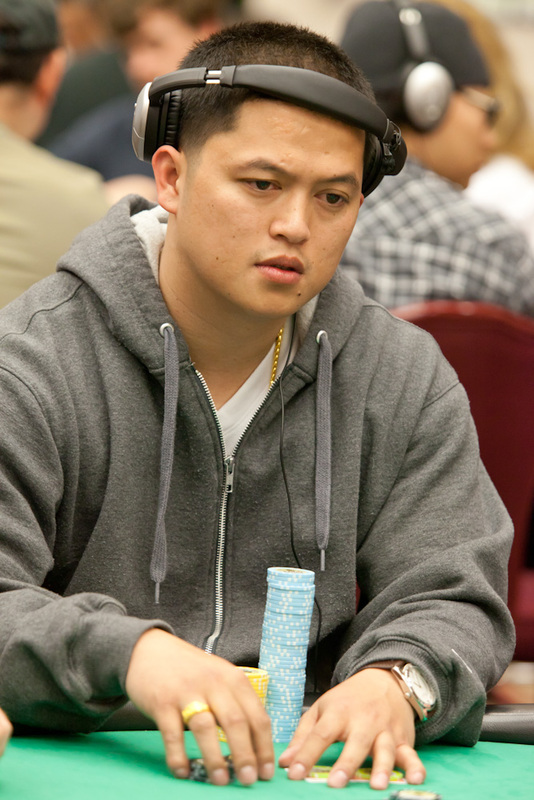 In a no limit tournament, fortunes can change in a single hand. In two hours, a new chip leader can easily emerge, and that is exactly what has happened. Rellie Sigua, pictured above, is our current tournament chip leader with 53,600. As we were taking this picture, Rellie was anguished to see a raise and a reraise in front of him. Rellie folded the big blind only to see his two opponents turn over AK and AJ. When the flop came A83, Rellie was pleased that his pocket pair would have been outflopped, until Rellie realized his pair was pocket 8's, and he would have flopped a set and won the pot. Regardless, Rellie is the chip leader for the time being.